Ham Radio Operators, you can now broadcast and listen on the discone antenna at the Titan Missile Museum. When the Titan II 571-7 became operational in 1963, its communication system included a large, broadband discone antenna that is still standing today. Built by Collins Radio Company, the antenna is 80 feet tall and has a large crown, enabling it to radiate signals over a wide range of frequencies. Step into the Visitor Center and ask for the antenna log book. 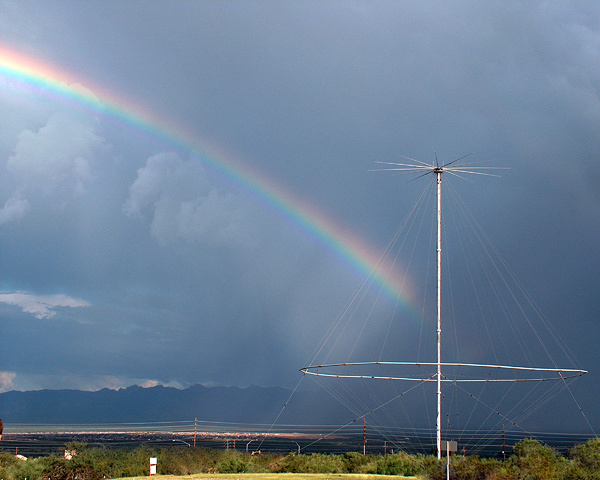 For more information, check in with our friends and local experts at the Green Valley Amateur Radio Club.